Alexander Dodds is recorded in the 1879 - 1881 City Directories as a machinist working for Buss Machine Works located at 20 Mill St. In the 1883 directory Alexander Dodds (successor to Whittemore & Dodds) Wood Working Machinery, is situated at S. Front St. and Pearl. On April 22, 1890 he was granted a patent for this wood-carving machine. 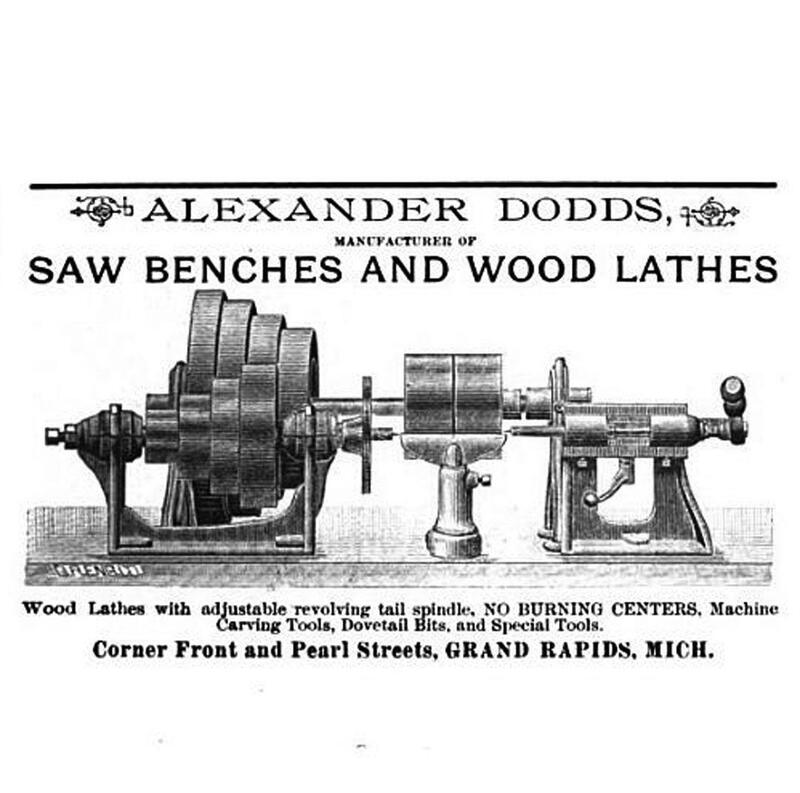 Dodds machine was described in Furniture Manufacturer & Artisan, May 1911 as follows: "Alexander Dodds invented and patented a machine carver which, when installed was suspended from the ceiling of the room where it was to be operated. He sold quite a number of the machines, but the cost of manufacturing was so much larger than that of the C.O. Porter machine that the wood-workers did not care to pay the difference. The variation in the heights of the ceiling rendered it necessary to build to order the iron framework used in supporting the machine. An advantage claimed for the Dodds carver was that the operator was able to work under and around the cutters with perfect freedom." Alexander Dodds was granted a patent, June 14, 1887, for a Dovetailing machine; another patent, December 31, 1889, for a Rubbing machine; and a patent, February 14, 1893 for a Mitering-knife.